South Africa's favorite Afro pop singer Zahara continues to fight for what is due to her and this time she is going all out and spilling all the tea. 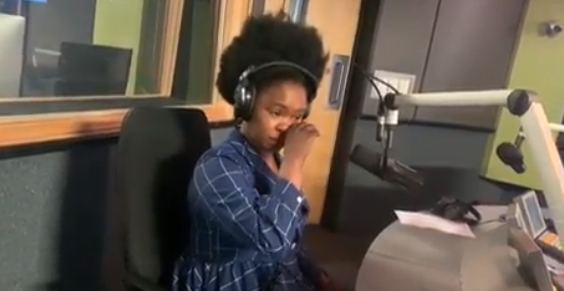 In the beginning of the week Zahara made headlines demanding that TS record pay her and on Metro FM she went in to detail about how difficult her life was during her time at the stable. In 2015 it was alleged that Zahara was not getting robbed of her royalties and album sales but she slammed reports but now she is singing a different tune. Zahara told MoFlava that she finally got the courage to take them on legally and is willing to make it public so others can learn from her situation. "If you remember when I came into the industry, my sister and my mother were trying to fight for my money... but I told them to keep quiet because I was scared," Zahara told MoFlava on Metro FM. "I didn't know that I was damaging myself... because why would I go and work and then have to beg for my money... which was sometimes a mere R10,000. Why would I go work and have to plea for that R10,000 that I need to ask for months on end? I'm not dumb, my family also knew about all this. I was at the point where I was dependent on Samro money, that comes quarterly," she said while getting emotional. 5 KHAMA BILLIAT UNHARMED IN CAR CRASH!